Made in USA. Local pick and inspection is free and CASH only when you do pick up. Warning: This product can expose you to chemicals including lead or di(2-ethylhexyl)phthalate or other chemicals which are known to the State of California to cause cancer, birth defects or other reproductive harm. Item never used. Just the box has signs of age. For indoor instalation. BIC VENTURI DV62SIB BOOKSHELF SPEAKER BLACK - ONE ONLY! ONE BIC VENTURI DV62SIB. BOOKSHELF SPEAKER. Use as a center channel speaker. Fairly Good overall condition with a few scratches on one side and missing the badge on the grill. 5 out of 5 stars - BIC VENTURI DV62SIB BOOKSHELF SPEAKER BLACK - ONE ONLY! 2 product ratings2 product ratings - BIC VENTURI DV62SIB BOOKSHELF SPEAKER BLACK - ONE ONLY! BIC AMERICA RTR 1530 15" 3-WAY FLOORSTANDING TOWER SPEAKER SINGLE -READ! You are bidding on ONE SINGLE BIC AMERICA RTR 1530 15" 3-WAY FLOORSTANDING TOWER SPEAKER. This is a brand new lost freight item that we received as you see it in the photos. It suffered a minor cosmetic ding in the right front corner of the enclosure and a super super minor bit of a dent in the upper left rear corner (this one's pretty insignificant). Other than that this is new never used other than by us to test it. It works perfectly and sounds fantastic! This is your chance to save big-time so don't miss out!!. 3.5 out of 5 stars - BIC AMERICA RTR 1530 15" 3-WAY FLOORSTANDING TOWER SPEAKER SINGLE -READ! 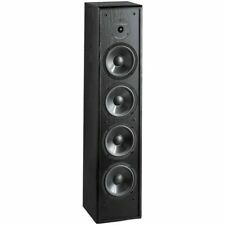 3 product ratings3 product ratings - BIC AMERICA RTR 1530 15" 3-WAY FLOORSTANDING TOWER SPEAKER SINGLE -READ! I upgraded speakers a while ago, but used this as a backup in another room since then. Everything works and the speaker sounds good for its size. Includes mounting bracket;. Extended 7-year warranty;. Cutout dim: 12.5"H x 8"W;. Speaker dim: 14"H x 10.13"W x 3.75"D;. • Includes cloth indoor & screen outdoor grilles. • 7-year limited warranty on parts & labor indoor, 2 years outdoor. Item Condition Details • Imp: 8ohm. Front- Firing 12" Long-Throw Powered Subwoofer. 8 Year Warranty. Front-Firing 12" Long-Throw Powered Subwoofer with state-of-the-art BASH amplifier. 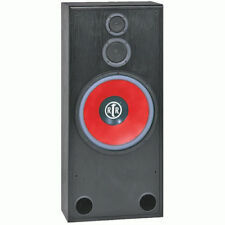 The DV84's are an excellent match to any center speaker. Their active dual 8 in. woofers provide even great Output. Their dual 8 in. passive radiators provide extra low bass extension. The DV84 towers have MDF cabinets and are video shielded. They include both cloth indoor and anodized screen outdoor grilles. 2 Cabinets. Includes Cloth Indoor & Screen Outdoor Grilles. 7-year Limited Warranty On Parts & Labor Indoor, 2 Years Outdoor. Video-shielded, 2-way Indoor/outdoor Speaker System. Tweeter Size (In.). Woofer Size (In.). 5-way, video-shielded tower speaker system. The 6.5 in. Dual 6.5 in. 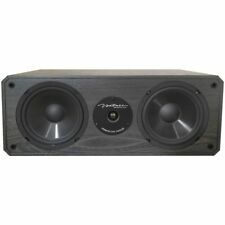 poly/graphite woofers handle bass and midrange performance, and. 75 in. passive radiators are also included to extend bass performance to a lower level than one would expect from 6.5 in. The 5-1/4 in. 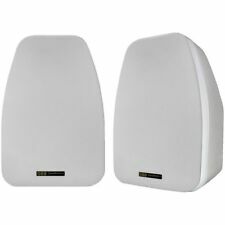 Indoor/Outdoor Speakers, White. Includes cloth indoor grilles and anodized screen outdoor grilles. Wireless Speakers: No. Low Frequency Response (Hz): 70. Color Family: White. Color/Finish: White. Speaker Enclosures And Screen Grilles Are Weather Resistant For Outdoor Use. The V44-2 Also Includes Wire & Mounting Brackets. · Versatile indoor/outdoor speakers. In the case of factory defects, we will replace the product for you. 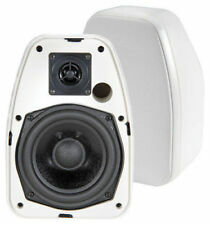 BIC VENTURI ADATTO DV52SIW Adatto Indoor-Outdoor Speakers (White) - Free ship. ManufacturerBic Acoustech. Front-Firing 12" Long-Throw Powered Subwoofer with state-of-the-art BASH amplifier. 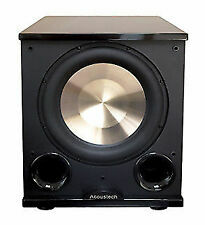 Front-Firing 12" Long-Throw Powered Subwoofer. 8 Year Warranty. ColorGloss Black. : Excellent Products. 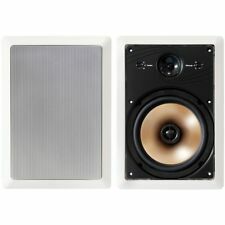 Indoor/Outdoor Speakers with Keyholes for Versatile Mounting in White. The 5-1/4 in. Includes cloth indoor grilles and anodized screen outdoor grilles. Wireless Speakers: No. Low Frequency Response (Hz): 70.